The Rev. Dr. Daniel Middlebrooks delivered his final sermon at Hopewell Baptist Church in March after four years. Now, he’s stepping into a new role with the Hillsborough County Sheriff’s Office. When the Rev. Dr. Daniel Middlebrooks began serving as the pastor at Hopewell Baptist Church, he knew his time was temporary. He was filling in as a transitional pastor, serving for a season. Four years ago, he didn’t know how long that season would be. He turned the high school job down, and Hopewell became his church home. Then, in December, a position as the chaplain for the Hillsborough County Sheriff’s Office opened up. While driving to that interview, Middlebrooks didn’t feel like he was driving outside of God’s will. “I felt like I was driving to the center,” he said. 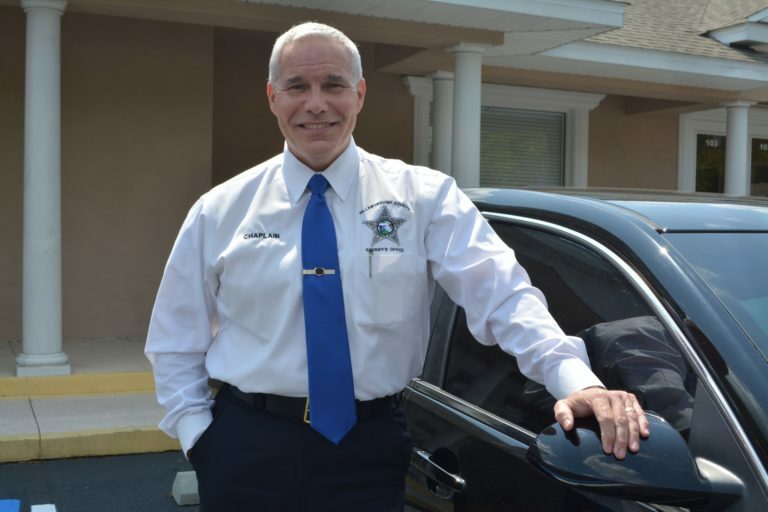 On Sunday, March 12, Middlebrooks delivered his final sermon at Hopewell and started with the Hillsborough County Sheriff’s Office Thursday, March 16. As the new command chaplain for HCSO, he anticipates that his job will grow from part-time to full time. The Rev. Dr. Daniel Middlebrooks, who recently published his first book, had a farewell dinner at Hopewell Baptist Church after delivering his final sermon in March. Courtesy photo. Middlebrooks replaces Pastor John Garbreana, who left the chaplain role at HCSO to take over as the full-time pastor at Manhattan Baptist Church in Tampa. Garbreana suggested Middlebrooks for the role because of his experience as a military chaplain. He continues to serve as a chaplain for both Plant City Fire Rescue and the Hillsborough County School Board’s security officers. He anticipates that his first full year serving with HCSO will be similar to his early days at Hopewell. He’ll especially focus on strong marriages and strong families, traveling in his service car to minister to and pray with officers. As he steps into his new role, Middlebrooks takes comfort and pride in being able to continue to serve in the same community of the church that welcomed his family back home. Throughout his four years at the church, Middlebrooks grew the church from a congregation of about 150 to one that ranges in attendance from 270 to 350. He hopes that number will continue to grow. Under his leadership, the church has hosted a banquet for first responders and their families, delivered hope bags to local elementary schools and expanded efforts to reach into the community, including an Easter sunrise service. His hope for Hopewell’s new pastor is that the pastor will see the compatibility of the church’s leaders. The church is currently developing a pastor search committee. In the meantime, the church will bring in different speakers and guest pastors until a transitional pastor is found. In his new role, Middlebrooks also plans to devote more time to writing. In February, he published Strategic Methods for a Successful Marriage, available on Amazon. His second book, co-authored with Mike Simmons is set to debut in May. Titled The Blue House, the book follows stories of trials and triumphs designed to strengthen a reader’s walk of faith. His faith was strengthened too, at the country church he called home.